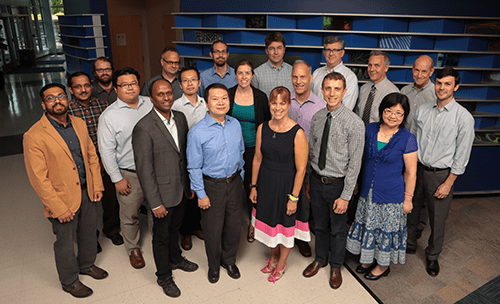 The Division of Biomedical Informatics (BMI) at Cincinnati Children's Research Foundation has both an academic and a service mission. Our research in bioinformatics and clinical informatics advances the understanding of comparative/functional genomics, systems biology, and proteomics; natural language processing; genome-wide association studies of diseases; data warehousing and data mining; and high-performance computing. We provide research IT services, developing and maintaining systems, software and other IT infrastructure to support a growing number of basic, clinical and translational research programs at Cincinnati Children’s and the University of Cincinnati College of Medicine. We also educate the next generation of researchers through our biomedical informatics graduate programs at the University of Cincinnati. We teach and advise students in the Biomedical Engineering Graduate Program at the University of Cincinnati. Learn more about research and career growth opportunities through our program. Learn more about PhD and graduate certificate programs in Biomedical Informatics.